Buy 1 - 8 for $34.95 ea. Buy 9+ for $26.95 ea. 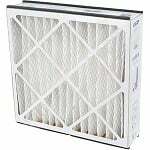 The Honeywell FC100A1011 20"x20" Media AC Filter is a high efficiency air purifier filter that can be used in select Honeywell 20x20 inch air cleaner models (see above). This is a genuine Honeywell air filter. 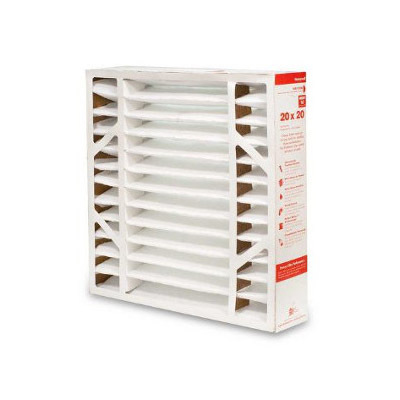 This Honeywell 20x20x5 air filter utilizes Ultra-Web technology, which is exclusive to Honeywell High-Efficiency Media Air Cleaners. This Honeywell filter should be replaced at least once per year for maximum efficiency. 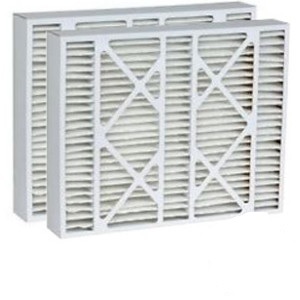 This air cleaner filter reduces medium-sized particles (pet dander, hairspray, dusting aids, household cleaners, auto emissions) and large-sized particles (pollen, household dust, airborne dust mite debris, mold spores, common allergens, clothing fibers, carpet fibers) in your air. 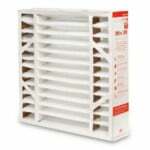 The Honeywell F100 filter should be replaced regularly to achieve optimal results.